Resources & Programs Designed for You! Online Virtual Programs, Live Workshops, Events, Services, Books and Resources facilitated and provided by our Certified Fatherless Daughter Advocates are designed to offer hope and healing to fatherless daughter women/girls. Many Fatherless Women have buried deep within their subconscious mind unresolved and unrecognizable patterns that show up in their daily lives. They are hidden in your blind spots. 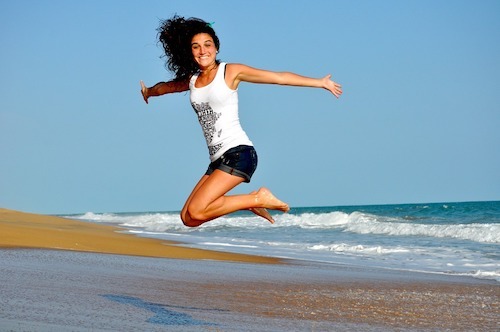 These patterns can prevent you from achieving the kind of life you desire and deserve. It’s a hidden, invisible pain that sneaks up on you. We at The Fatherless Daughters Network want to change this for fatherless women everywhere. The Fatherless Daughters Breakthrough Program is a four part home study, result based program to help fatherless daughter women begin to heal their daddy wounds through the power of love, acceptance and forgiveness. Identify Your Core Daddy Issues/Wounds. Release and Breakthrough Any Barriers That Keep You Stuck. Help You Redefine Who You Are. Rewrite a New Narrative for Your Life. 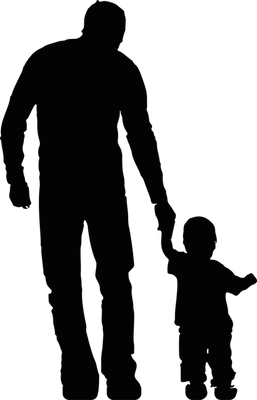 Father Loves Best Workshop, created by Angela Carr Patterson, is designed to address the many ways a dad can learn how to foster a deeper relationship with his daughter that speaks to her essential needs and desires. The workshop is for any father, whether he’s present, absent, unattached or unavailable in his daughter’s life. Fathers will learn what happens when he fails to provide the 4 P’s that every female needs from her dad and how to avoid making his girl a Fatherless Daughter. Presented with a nonjudgmental and non-condescending approach, our Certified Fatherless Daughter Advocates will speak to the heart of every father who desires to rekindled, reconnect or re-enter his daughter’s life in a deeper, fulfilling and more meaningful way. Whether your daughter is 15 or 50 years of age, it’s never too late for her to become Daddy’s Little Girl. Books by Our Fatherless Daughter Advocates! For a female, growing up without a father or a flawed father-daughter relationship can have many negative consequences in her life as she becomes a woman. In this book, The Making of a Fatherless Daughter, you will read stories written by women who have experienced the hidden, muted pain of fatherlessness. You will witness their struggles, pains, brokenness, betrayals and the impact that fatherlessness has had on various areas of their lives. You will also learn how the power of love, acceptance and forgiveness can heal all wounds and give hope for the future. This is the story of one woman who simply wanted someone to love her. She finally discovers what she’s looking for, but in a place she never thought to look. 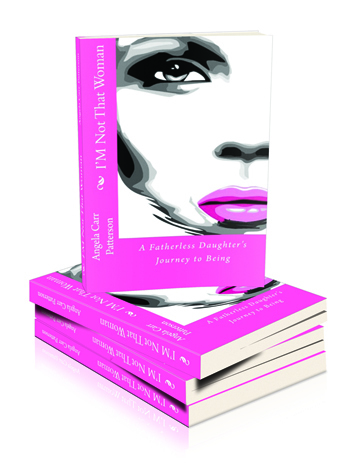 Angela Carr Patterson weaves an authentic, painful, yet transformative journey inside the deeper parts of women who grew up without the safety and security of a loving, hands-on father. It’s every little girl’s dream to be her daddy’s little princess. Yet, not every girl has a change to experience this beautiful relationship with her father. The fact is, one in three girls will go to bed tonight without the confidence of knowing that she’s loved and protected by her dad. Many girls are growing up with an unattached, unavailable or absent father. When this happen, it leaves a hole in the soul of the woman she becomes. 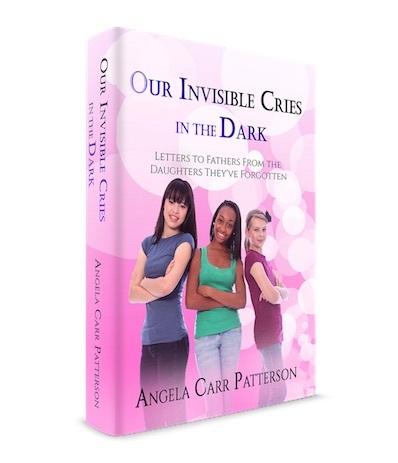 This is a book of letters written by fatherless women and girls to dads whom they wished could hear the cries of their souls. When a little girl’s daddy is not a part of her life, everything changes. He isn’t there to take her to school or bring her home. He isn’t there to play with her or help her look for lost toys. He doesn’t tuck her in at night or tell her bedtime stories. 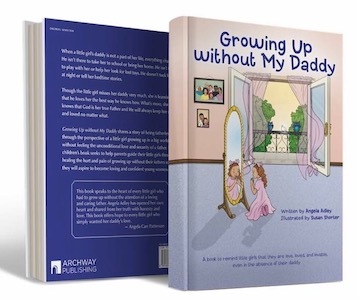 Growing Up without My Daddy, by Angela Adley, shares a story of being fatherless through the perspective of a little girl growing up in a big world without feeling the unconditional love and security of a father. This children’s book seeks to help parents guide their little girls through healing the hurt and pain of growing up without their fathers so that they will aspire to become loving and confident young women. For seven years, he was the hero in her life. Then one afternoon, he vanished. He no longer wanted to be a responsible parent. At twelve years old, she realized that he was not coming back, and would have to deal with this matter of the heart. Can Arianna move forward? In Daddy, Do You Love Me? Arianna learns that by applying God’s word she can be happy and enjoy life regardless of who chooses not to be a part of it. In this book, written by Anita Renee Murray, each devotion begins with a scripture reference which gives direction for the situation faced. You will discover how you can know your self-worth, unconditional love, success without excuses, and forgiveness. This book is dedicated to the many fatherless children in the world who travel on cobblestones in search of a connection that was lost somewhere in their lives. A connection to a figure they expected during the nurturing process, supplying guidance and applying love with understanding. More importantly, the role of the father being present is to instill self worth and a sense of affiliation to something that is of themselves. Has the term “father” or “daddy” lost the fiber of its meaning? Should the search for that missing connection be abandoned? I think not. 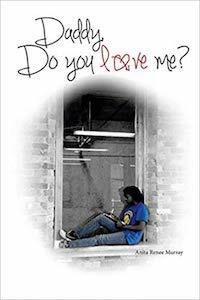 Dr. Renita Gibbs offer this work of fiction as a voice and possibly a map for the many who are still on a quest for that connection and journey to finding daddy.